"You may say, "My practice is not good enough to feel the goal or the full meaning right now." But even though you say your practice is not good enough, there is no other practice for you right now. Good or bad, it is your practice. To approach perfect practice, there is no way other than to accept yourself. To say your practice is bad does not help your practice. To say your practice is excellent does not help. Your practice is your practice. You talking abut it in various ways, good or bad, this is all. 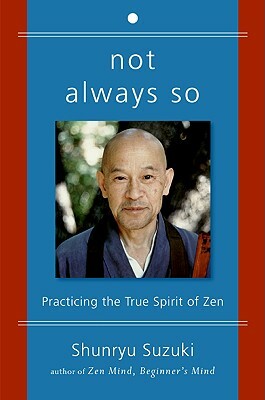 We should know this point first of all, so we say, "Even though your practice is not so good, that is perfect practice. Just sit.